Monster Hunter Tri is a role-playing gameand the third installment in the Monster Hunter series. It is developed by Capcom Production Studio 1 and published by Capcom for the Wii. 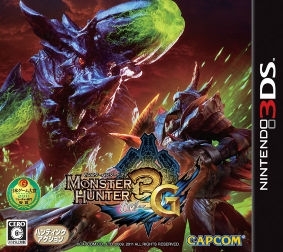 Enhanced ports, titled Monster Hunter Tri G and Monster Hunter 3 Ultimate, were developed and released for the Wii U and Nintendo 3DS and feature revised HD graphics, full online and local multiplayer, and the ability to import the game progress between platforms. The game focuses on completeing quests for "The Guild" with several types being available: Gathering, Hunting, and Capturing. Completing specific quests allow the player to embark on an "Urgent Quest", which when completed allow progression to the next tier of quests. Online play allows players to work together to complete quests and take on monsters. @leelelee where the hell do you live?